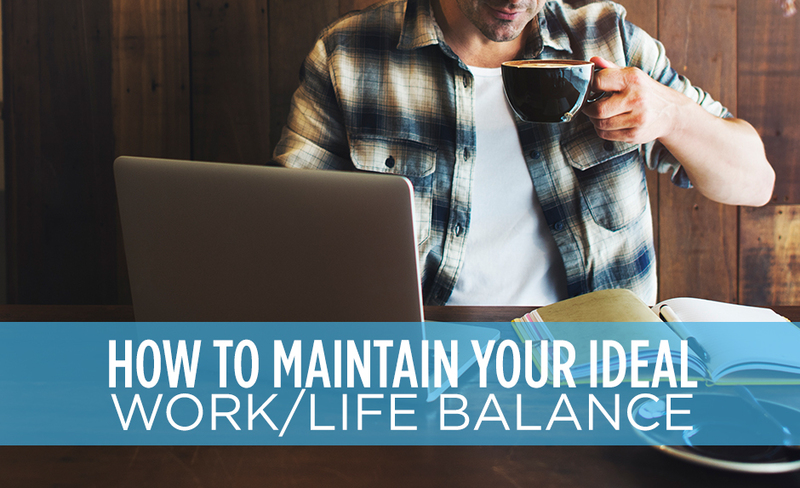 Achieving a healthy work/life balance certainly isn’t easy. If you’re struggling to keep things together, you can find comfort in knowing you’re not alone. Many employees find it difficult to effectively juggle work and family obligations. This can leave you feeling inadequate or guilty, either at home or on the job. By creating your own routine you’re able to take control of your life. Practice daily habits, like getting enough sleep, eating a solid breakfast, and checking your email at specific times of the day. By following your routine, you can make sure you're doing the things that are important to maintaining your productivity. If you always have your work phone on or are checking emails during your off hours, you are never truly free from the pressures of work. Unless you absolutely must be on call during your off hours, talk with your boss about setting expectations for communication. If you don't feel like you're getting enough done at work or at home, it’s tempting to fill every minute of your day doing something. This can easily lead to burnout, making you less effective at both work and family responsibilities. Carve out personal time to relax and unwind. Eastridge Workforce Solutions can help you to find a job at a company that will allow you to find a work/life balance that actually works for you. Contact us today to find out more about how our staffing professionals can help you to find a job that will give you balance in your life.